Igor Yaroshevsky was all in preflop holding [Ah][Kd] and was up against his opponent's [As][Kc]. It looked as if the pot would be chopped, until the dealer placed four hearts on the community. 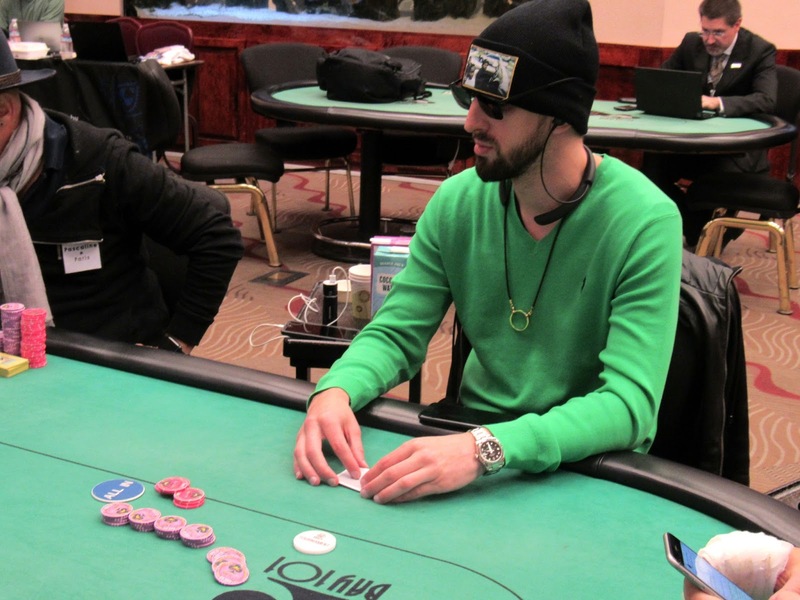 Igor pulled out an amazing double up with 13 players remaining. When one more player is lost, there will be another redraw.